A bright white smile creates a stunning first impression, as white teeth are a sign of health, vitality, and youth. Yet all teeth darken over time, and genetics, medication, and dietary choices can affect their shade. For the beautiful white smile you deserve, here are 3 options for whitening your teeth. The oral hygiene section of any supermarket or drugstore is filled with whitening gels, rinses, and even toothpastes. If your teeth and gums are healthy, these products should not cause any harm, and they can give you a temporary whitening boost. However, they do not whiten as well or last as long as professional whitening products. In-office professional teeth whitening takes just one visit or, if you prefer, we can create a customized mouth tray for you to wear at home for several nights in a row. Backed up by twice-annual cleanings and the occasional at-home touchup, professional whitening can easily last for a year or longer. Teeth that are deeply stained may need a bit more help than simple whitening. Composite bonding is an excellent mid-priced solution that can be performed in a single appointment. We will apply a flexible dental resin to your teeth, sculpt and shape it by hand, and then cure it under a specialized light. Composite bonding can cover small chips and gaps as well. Although it is not as long-lasting as porcelain veneers, bonding is a durable way to hide imperfections in your smile. Porcelain veneers are the premium solution for teeth that are healthy but unattractive. They can cover deep staining, gapping, chipping, mild misalignment, and a host of other cosmetic problems. Porcelain veneers mimic the color, translucency, and sheen of natural teeth, giving you an attractive and highly natural smile. Most of the time, we can whiten your teeth and then color-match veneers for your front teeth to the new shade. 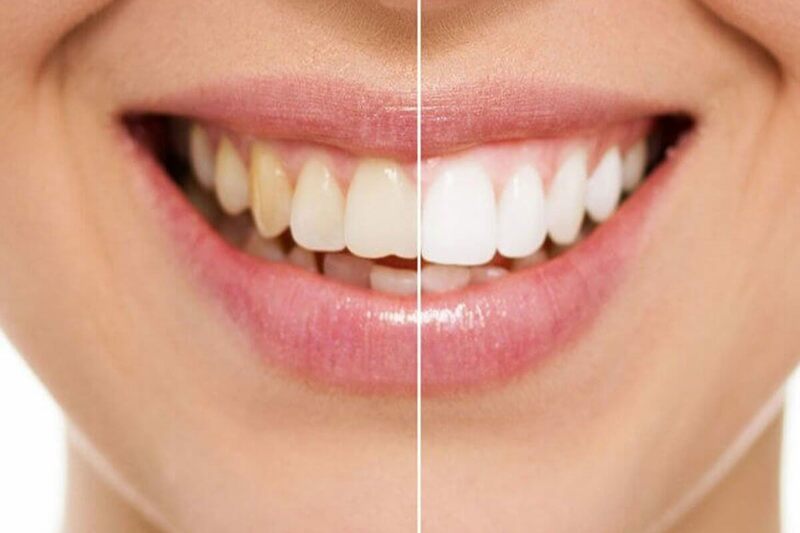 Since veneers do not yellow like natural teeth, you will need to have your back teeth whitened regularly to maintain the color match. Porcelain veneers are more expensive than composite bonding, but they are far longer lasting. As long as you maintain proper oral hygiene and avoid exposing them to excessive forces, porcelain veneers can easily last for years. At one time, only the wealthy and people with spectacular genetics were able to enjoy bright white smiles. Today, though, there are options at a variety of price points for achieving the dazzling smile you have always dreamed about. If you are looking for a full-service, state of the art dental practice in Torrington, CT, contact Dr. Munroe’s Dental Center today at 860-482-4041 to schedule your first appointment.